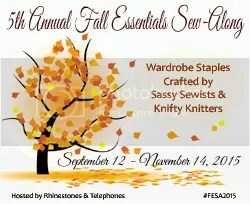 Although I’ve never sewn one of their patterns I’ve always been intrigued by Named. I like that they release collections bi-annually rather than just one pattern here and there. I’ve never actually sewn one up though. I think (like other pattern companies and the fashion world in general) tall models makes me subconsciously rule things out for my short stature. I seem to have developed a deeply ingrained view of what suits my (lack of) height. Magazine articles always state the law of shift dresses with matching tights and shoes to keep ‘the proportions right’ and ‘elongate the silhouette’. 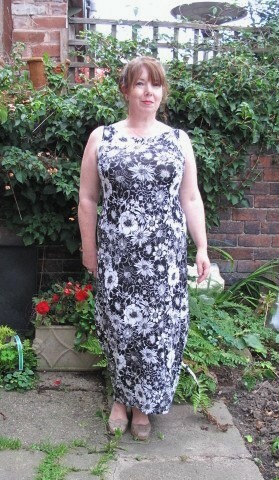 I have spent the past thirty years avoiding maxi dresses just so my proportions are in proportion! Their Kielo dress was released this Spring and since then I’ve seen quite a few versions popping up around the t’internet. Just the uniqueness of the design made me want to give it a go. 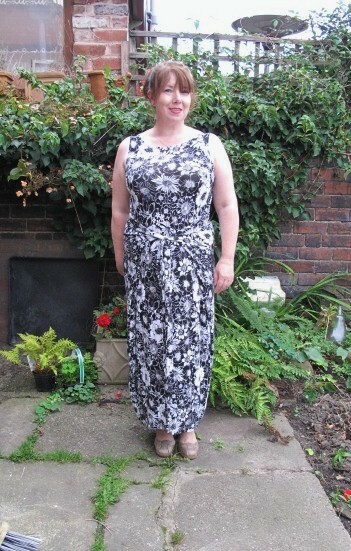 My initial fear was that the maxi length could drown me and the ties could create unwanted bulk around my middle, but I decided to throw caution to the wind and just jump in. 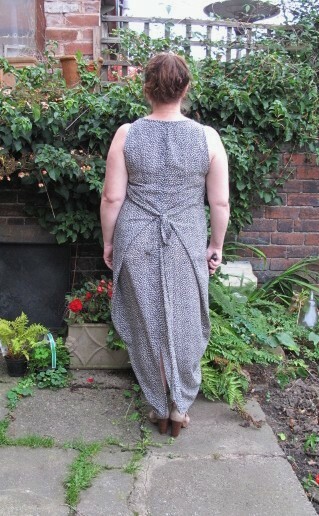 The Kielo is a maxi wrap dress with waist ties and a vent at the back. It has slightly angled fish eye darts at the back and diagonal bust darts. The description mentions it’s ‘interesting shape’ opened up it looks just like a Manta Ray! 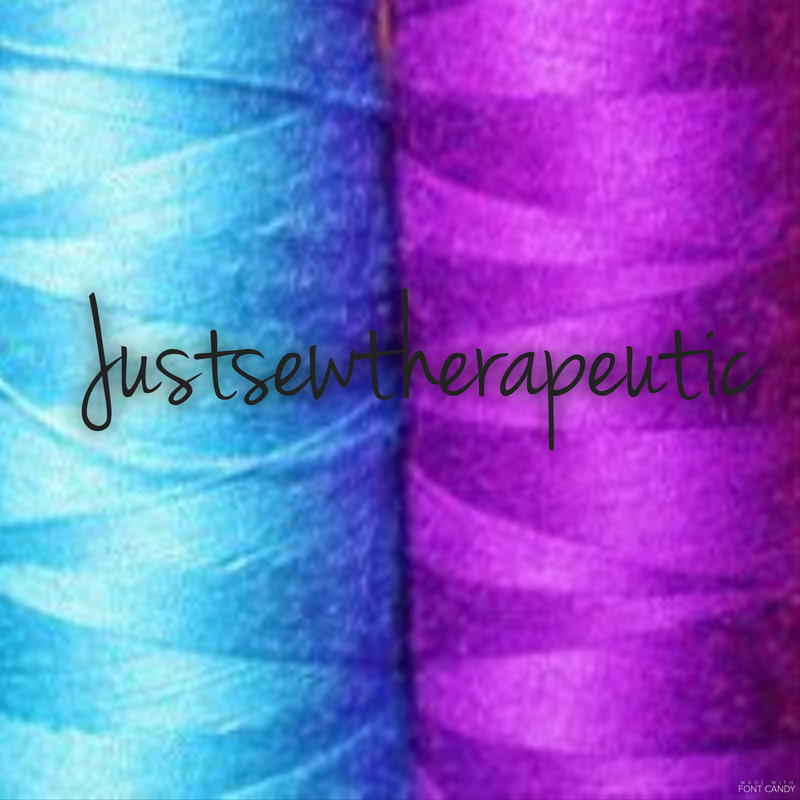 The pattern calls for a light fabric with good drape and between 20% -60% of stretch. I was a bit stuck when looking for something in the stash, I had a length of lightweight poly which didn’t have any stretch whatsoever. On the other end of the scale there was a length of knit, plenty of stretch but medium weight. I didn’t want to commit to buying anything especially for it and risk it being wasted if it didn’t work out (I’m also on a serious stash diet!) After a few days pondering I wondered what would happen if I used the fabric I had. Would the pattern work on a non-stretch woven? I decided to experiment. I’d bought the poly fabric last year, cream with a ditsy black floral and very slightly sheer. I liked the print but as with all poly fabric, didn’t really care for the feel of it. It only cost £2 a metre so I was willing to sacrifice it. My bust measurement put me into the largest size (UK 18 for a 41inch bust) so that’s what I cut. The pattern pieces were actually taller than me so after a bit of measuring I shortened the bodice by 3 inches and the skirt by 4 inches. I sewed it up on my main machine and it came together really quickly. 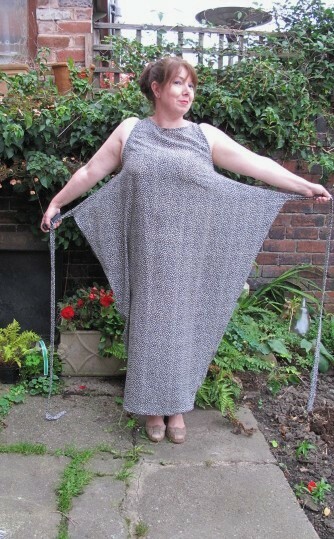 Before finishing the neckline and armholes I tried it on and found that I couldn’t quite fit my head through! I trimmed an extra 1cm from both neckline and armholes, tried it again and I was in. I’d made a big supply of single fold bias tape during the summer so used some of this to finish the openings. Unfortunately I stretched the neckline out a bit during sewing but it’s not that bad. Go up a size or two through the shoulders and bust. Use a fabric that has a little bit of give on the bias. 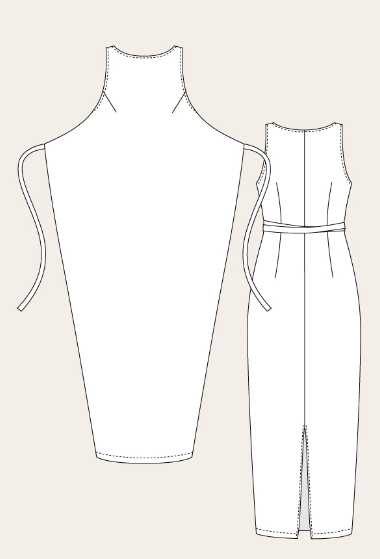 Try it on before finishing the neckline and armholes! Buoyed on by my first version I was curious to see what it was like made up in a knit. This time the dress fitted easily over my head. I finished the hem, armholes and neckline with the same narrow zig zag as I was feeling too lazy to get out the twin needle. I just turned and stitched rather than using knit bias tape given in the supplies. 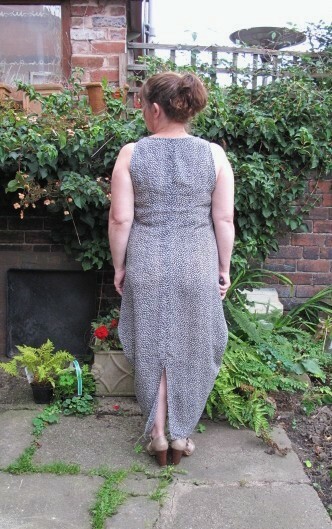 Although the knit version worked much better with regards to fit, I think I prefer the woven version, just having that bit of body emphasises the shape and design whereas the knit is a little too droopy and the detail is lost in the busy print. 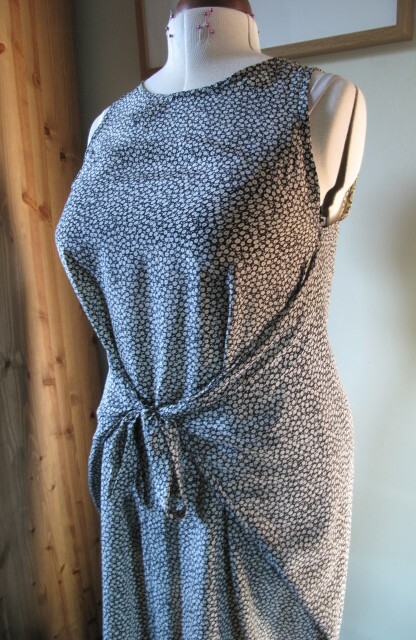 Next time I’ll maybe try it in a viscose, maybe a solid or small print so you can see the detail of the wrap. 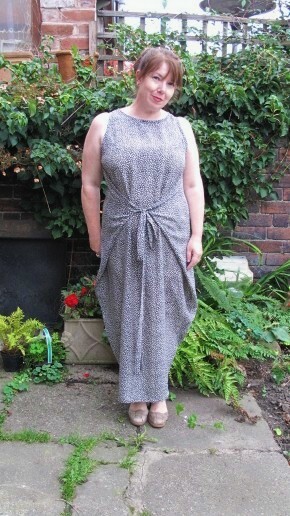 The Kielo would make a perfect (and quick) evening dress in something silky of slinky . There’s also a free sleeve pattern available to download, pictures of a sleeved shortened version have been added to the site so I might just make another knit version to get me through the winter months. I think my worries about the length and bulk have been dispelled, along with my pre-disposition about what ‘suits’ me. The experience has had a positive effect and challenged me to move out of my comfort zone and be a bit more adventurous. 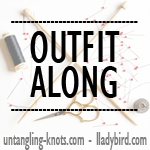 There’s a couple more Named patterns I really want to try but as I’m on a pattern and fabric stash diet at the moment I’ve added them to my Christmas list, with links, to make it easier for Santa to find them!